Welcome to BBKA News, the complete archive of BBKA News. Please enter your BBKA member number and password to access the BBKA News Archive. Why not take a look at a sample edition? 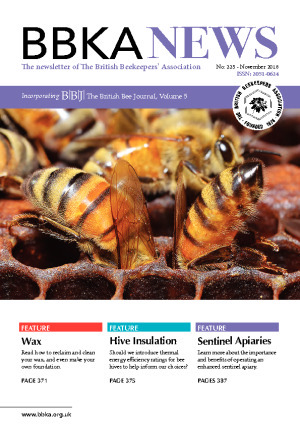 To get your copy of BBKA News every month, become a member of the BBKA. join us and enjoy the world of bees and beekeeping.